The Real McCoy Cabins are family owned and operated. We are riders, just like you. 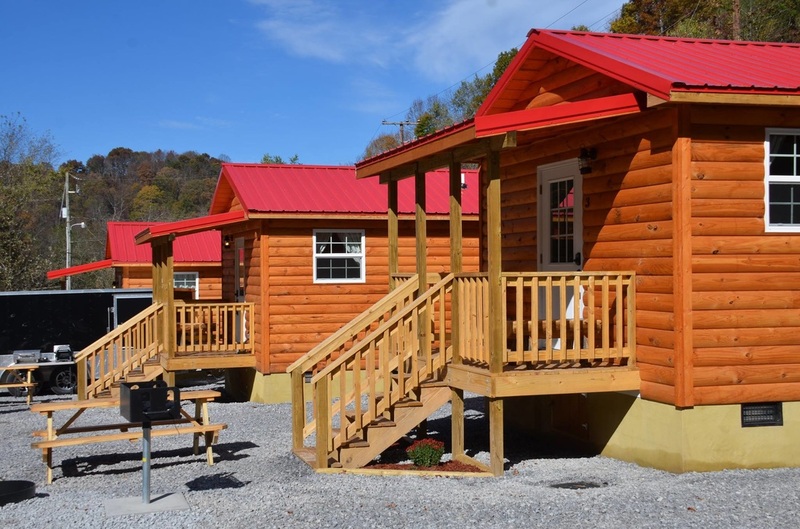 Our cabins are top of the line, custom designed by us and handcrafted by local contractors. Rustic luxury is exactly what we’ve brought to life here in the historic Town of Pocahontas, Virginia. Tucked away in a private hollow, this is the perfect getaway from the hustle and bustle of city life. Drive your machine from your cabin to the trails in Bramwell, WV as well as Pocahontas, VA. Pull on up, unhook your trailer and enjoy the ride along ATV-friendly roads. While you’re at it, come on in and have a bite to eat at The Real McCoy Country Store and Kitchen where Southern Hospitality is alive and well! Home cooked meals just like Grandma used to make. At The Real McCoy Cabins, comfort and convenience of our guests is our priority. In order to serve you best, linens are included at no extra charge and we now have a laundry facility onsite for your use as well. Come on out and see what has everyone talking!